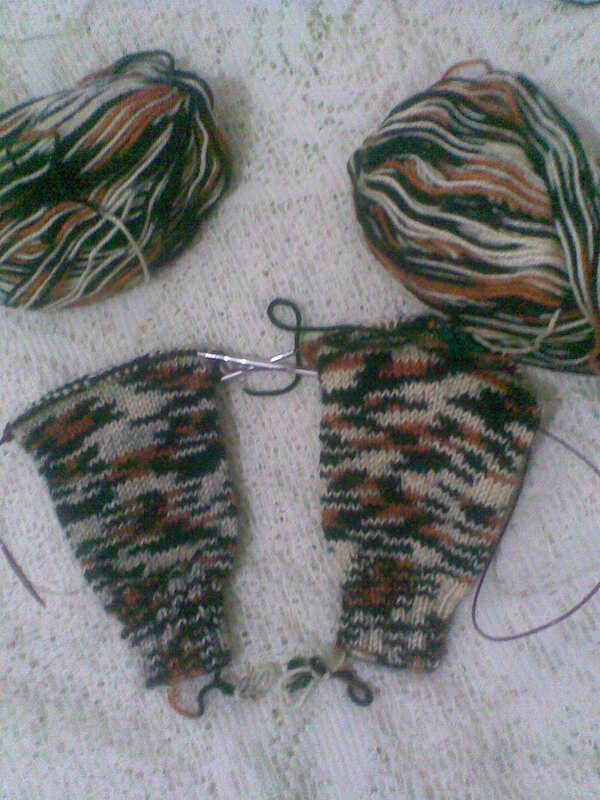 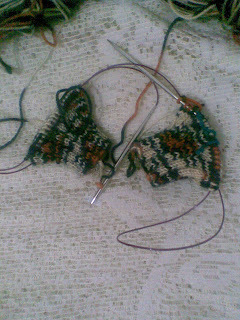 I have used the technique of making two socks using one long needle to make the two sleeves with each others like the pictures. It is better than making one after another. 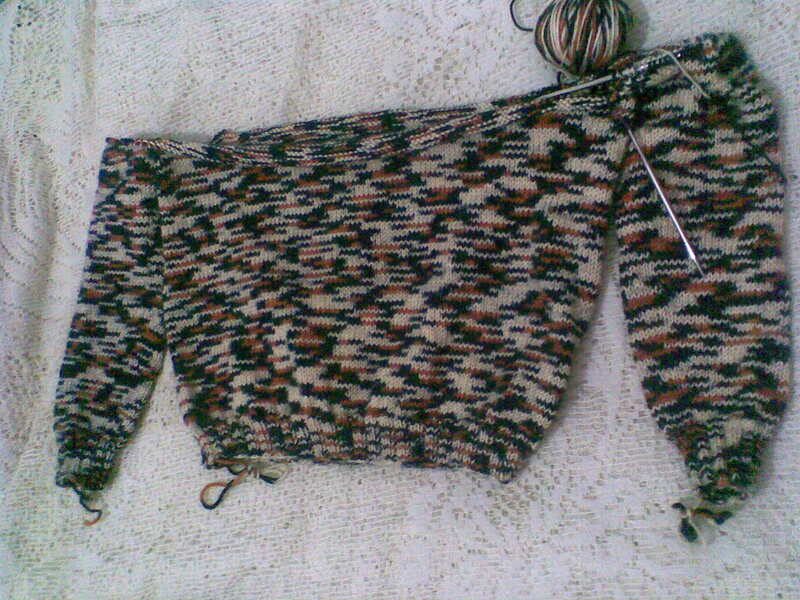 Here is the body with the two sleeves. 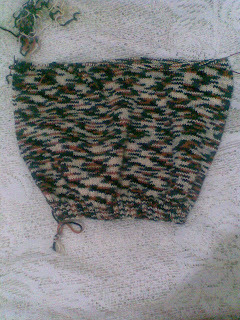 This time I have bind off the underarm stitches first. This reduced the holes under the sleeves , but I had to graft two holes using sewing needle. 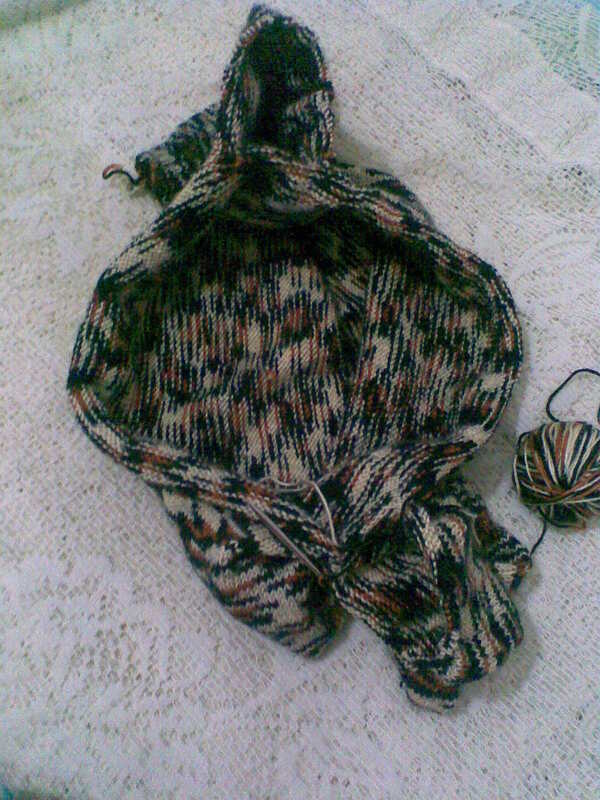 Any way it is better than leaving the stitches alive until I finish.